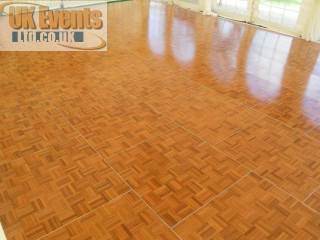 Real wooden dance floors available to hire at the most competitive rates on the market. 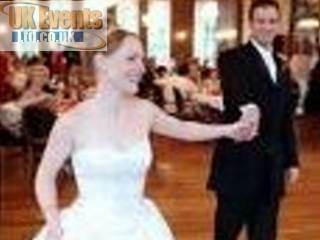 As one of the largest dance floor suppliers in the United Kingdom, we are able to offer any size dance floor, large or small to meet your requirement. We have a reputation of excellence within our field of business offering great products and outstanding service. The Oak portable dance floor can blend into some of the most elegant venues in the country to create that stylish traditional look. We experience a high demand for the Oak Flooring for all styles of function rooms and for all types of applications. Our parquet wooden flooring comes in 3ft x 3ft dimensions and can make up any sized dance floor as long as the number is divisible by 3. We finish off the entire edging of the dance floor with a sloped aluminium trim to ensure the dance floor is trip proof and safe to use. 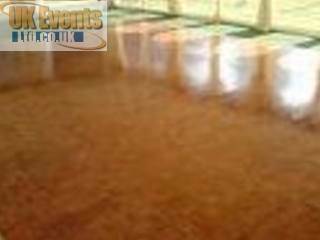 The oak floor is perfect for major dance events, exhibitions and parties of any type.